This afternoon I was sitting outside on my back porch with a good cigar and a soda. I was reading a book and enjoying the 60-degree weather in St. Louis. Woohoo! I decided I'd be more productive outside than down in my dungeon of an office. Well, I had my camera on the table with Tim Werkema's 80-400mm VR attached in case any exotic birds happened to settle near by. No birds. But a fly was attracted to my drink. So I thought: heck, why not? I ran in and got my 105mm VR. The poor thing was drunk with sugar so he hardly moved while I snapped some shots. They are all handheld shots with available light. It was late afternoon so the sunlight was slanting in and not too harsh. I would have loved to have been a fly on the table to see what you were reading. Oh, that's what this is! 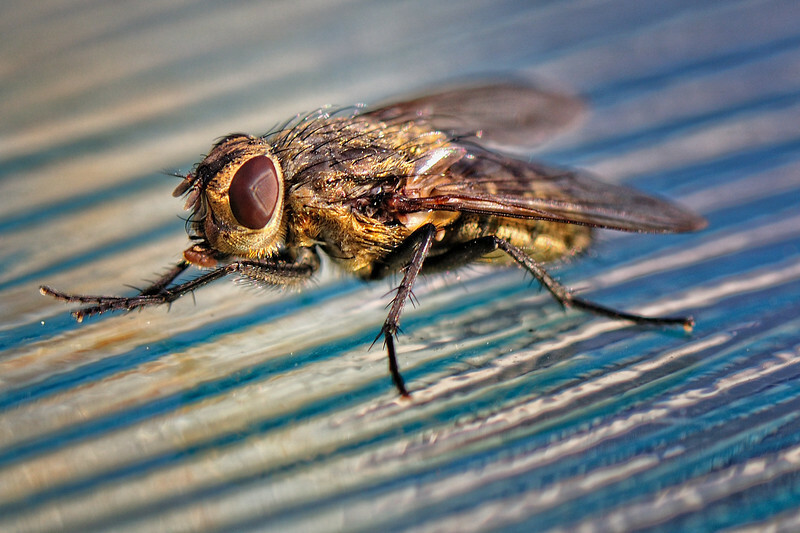 While I am not a big fan of pesky flies, I love the detail shown in your photos. They look almost pretty! Thanks, Jennifer. 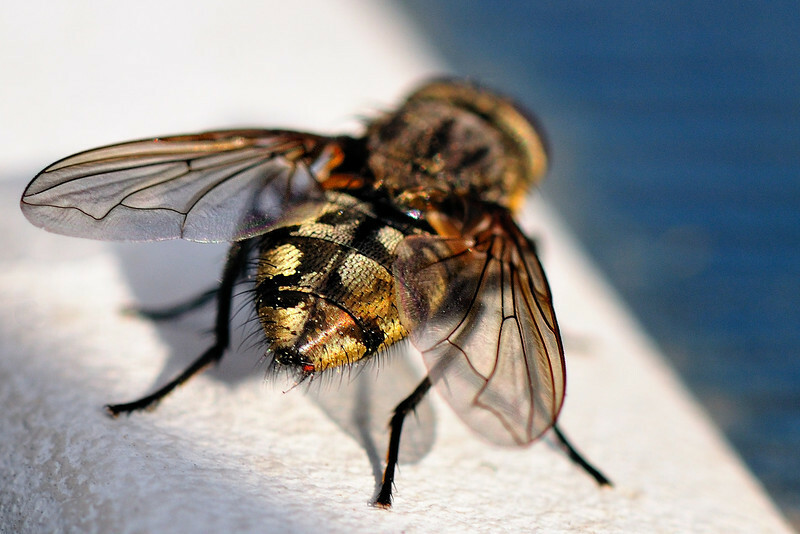 Yeah, flies are pretty nasty. But there's not much else moving around outside these days. Bobber: what was I reading? A couple of books. First, Postmodern Theology, ed. by Vanhoozer. Second, The Mission, the Men, and Me by former Delta Force commander Pete Blaber.